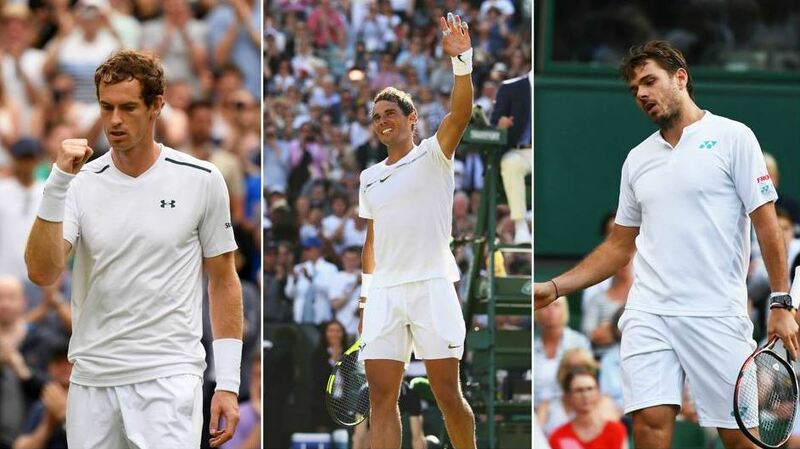 Stan Wawrinka, Andy Murray, and Rafael Nadal are preparing to challenge Roger Federer and Novak Djokovic in 2019. However, even through their ambitions aren’t being compromised, there bodies definitely are. All three tennis stars dealt with major injuries that reduced their effectiveness and playing time in 2018. Rafael Nadal, who was ranked number 1 for most of 2018, managed to hit phenomenal high notes. However, his year was severely compromised when he retired in both the US Open and the Australian Open. The return of a replenished Wawrinka and half the Big Four should be a cause for celebration. However, so far, tennis enthusiasts have had to settle for cautiously articulated hopes and sober injury updates. Nadal was defeated by Kevin Anderson during his debut in Abu Dhabi and then retired from the third-place match. The defeat means very little on the surface. However, the match lasted less than two hours which is nothing compared to the battle he will face in Melbourne. Rafael Nadal is a prudent man, but might be stumbling on the side of caution. On the other hand, his punishing style and age (32) as a pro for the last decade is finally catching up. Melbourne has never been a pleasure for Nadal which is a pattern that began long before Roger Federer defeated him in the final at the beginning of 2017. The least productive major for Nadal is undoubtably the Australian Open even though he managed to play some of the best matches there. Murray might have more to be concerned about in 2019 due to the nature of his injury. Any hopes that the tennis star had for a quick and full recovery after undergoing a hip surgery was quickly lost last summer and he hasn’t made a lot of progress since either. Murray started his comeback in mid-2018 but ended his run in September where he finished 7-5 for the year. He is currently ranked 256 in the world. The decision from Tennis Australia to go with a tie-breaker of 10 points at the start of the Australian Open in 2019 is very innovative. However, it impairs an already amazing lack of consistency among the tournaments in the Grand Slam. It also makes the scoring system more confusing to tennis fans that don’t watch on a constant basis. The 10-point system, also referred to as the ‘Super-Tiebreaker’, is nearly identical to the 7-point system which is currently used to determine a set when matches reach 6-all. 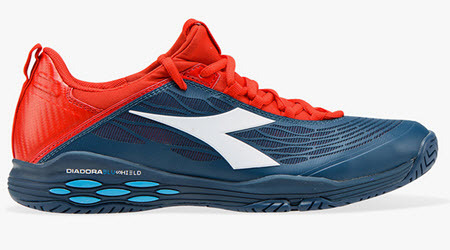 It’s also used during a third-set in doubles when it comes to matches in the ATP World Tour. The only difference is that the overall winner is required to reach 10 points as opposed to 7 points by a margin of 2. Tennis Australia, in a statement, splendidly declared that their decision was made following one of the most extensive consultations in the history of the tournament with officials, analysts, agents, and players. Is the confusion created behind this decision worth the difference it will have on the court or are the Aussies simply trying to reclaim the high ground they so cherish? Well, if the target is to provide a final twist in the tournament, why not increase it to a 12 or 14-point tiebreaker? There’s actually no end to this. The tiebreaker itself is the last twist to end the match. However, the larger problem is there is no consistency when you look at the Grand Slams. The only major where the final set is still played until one player wins by 2 games is the French Open. The US Open has managed to use the 7-point tiebreaker for decades when the final set produces 6-all. In October earlier this year, Wimbledon stated that they will start using the 7-point tiebreaker during the final sets in 2019. However, this will only occur when the score manages to reach 12-all in matches. Although the French Open clay courts are conducive to long matches and rallies, the soft surface doesn’t punish a player’s joints when compared to the hard courts and it also doesn’t need as much bending and lunging as grass. Paris weather is also quite cool which is another plus. There hasn’t been any outcry in Paris for a longer final-set tiebreaker either. The players seem quite content with the US Open tiebreaker but that’s only because they had time to get used to it over the years. The 2018 season of tennis concluded a couple of days ago when Novak Djokovic was defeated by Alexander Zverev in London to claim a win at the ATP World Tour Finals. The 2018 season had everything, with loads of entertaining matches. The Big 3 managed to assert their dominance during the Grand Slams, a couple of unexpected tennis players climbed the ranks, and a couple of big players managed to fall further than we expected. While the Australian Open was won by Roger Federer at the start of 2018, the French Open was won by Rafael Nadal, at the US Open and Wimbledon titles was claimed by Novak Djokovic. This allowed Djokovic to finish in the number 1 position for 2018 even though he was ranked as 22nd overall in June. Let’s take a look at the best tennis players for 2018. After an awful first half of the 2018 season, no one anticipated that Djokovic would be able to qualify for the World Tour Finals. He lost against Chung in the fourth round of the Australian Open and during the quarters by Cechinato in the French Open along with many other shocks by lower ranked players. However, he managed to turn things around during the second half of the year, claiming his third Wimbledon title and the Cincinnati Open. He also won the Shanghai Masters and the Paris Masters. Even though he missed all the tournaments following the US Open, Nadal is still ranked the second best player in the world. This is due to winning his eleventh French Open, the Barcelona title, and two Masters titles in Rome and Monte-Carlo. He managed to hold onto the number one title for most of the year until Djokovic defeated him during the Wimbledon Championships. Although he hasn’t been on top form for most of the year, Federer still managed to claim 4 titles which included one Grand Slam. He started the year by claiming the Australian Open and winning at Rotterdam, providing the number 1 spot once again. However, he soon lost this title during the Indian Wells as well as Miami. He was also shocked during the Wimbledon quarters and again in the US Open fourth round against John Millman. It’s quite unfortunate that del Porto had to sit out during the World Tour Finals as he recovered from an injury. We believe the tournament would have been quite different if he participated. He still had a phenomenal year as he reached the French Open semi-finals and the Wimbledon quarterfinals. He also managed to reach the final during the US Open only to be defeated by Djokovic. This exceptional German managed to continue his incredible run from 2017. However, he wanted to perform much better during the Grand Slams in 2018. 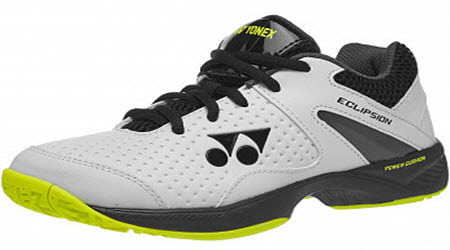 His best result was during the French Open when he reached the quarterfinals. He also performed quite well during the 500s and Masters. Some tennis champions are transformed by pressure. They see, move, and think differently. One tennis player that reacts in this way is Sloane Stephens. 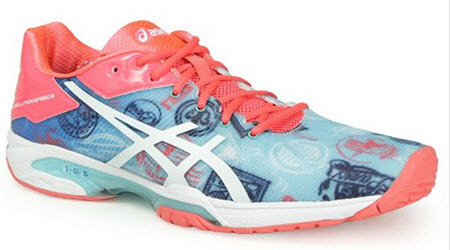 When she entered the French Open, she had a record of 6-0 in her final matches. During September of last year, she managed to win the U.S Open. There’s no denying that pressure lights her up. The bigger the stadium, the quicker she is on her feet and the brighter her smile becomes. Things are quite different when you look at Simona Halep. Before the French Open this year, Halep was leading the final of major tournaments a total of three times and managed to lose each of them. When she accepted the trophy at Roland Garros as the runner-up a year ago, she didn’t attempt to hide her devastation. Halep stated that she was sick to her stomach due to emotion and perhaps wasn’t ready to claim it just yet. Only a handful of players have managed to speak so honestly and openly about the struggle with self-doubt. 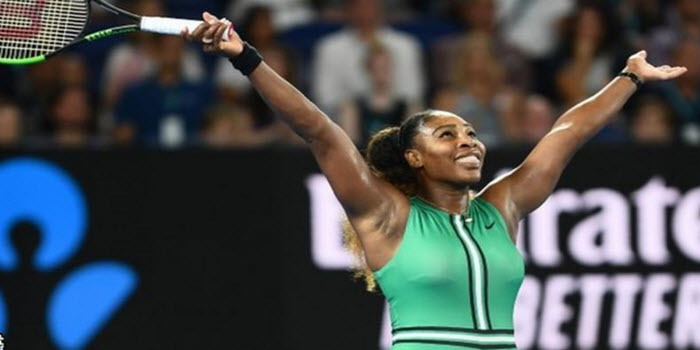 Despite her losses, she went up against Stephens in the final of the French Open on Saturday and was the clear favorite as she was ranked number 1 in the world. During the semi-finals, she managed to defeat Garbine Muguruza, the former Wimbledon and French Open champion, controlling points from the start of the game thanks to her deceptive power and superior movement. However, when she faced Stephens, she was skittish in the beginning. She was unable to get the ball past Stephens as her fluid footwork managed to carry her to each and every ball. The first set was taken by Stephens, and continued on a break to begin the second. However, Halep soon adjusted, smashing moon balls to disconnect Stephen’s rhythm and pacing forward during short shots. In fact, Halep managed to win 8 of 10 points while she was at the net. She also starting to realize that she could survive the extremely long shots. Stephens is one of a handful of players can that rival the athleticism of Halep. However, she was unable to match the stamina of Halep. The forehand speed of Stephens started dropping, and the effectiveness in her serve was lost. Even her footwork started slowing down. On the other hand, Halep was starting to extend points that sometimes came with unworldly retrievals. An unbelievable 55 points in the game managed to last for 9 shots or more. Although the 1-6 score line may have looked one sided, it was certainly very competitive throughout. 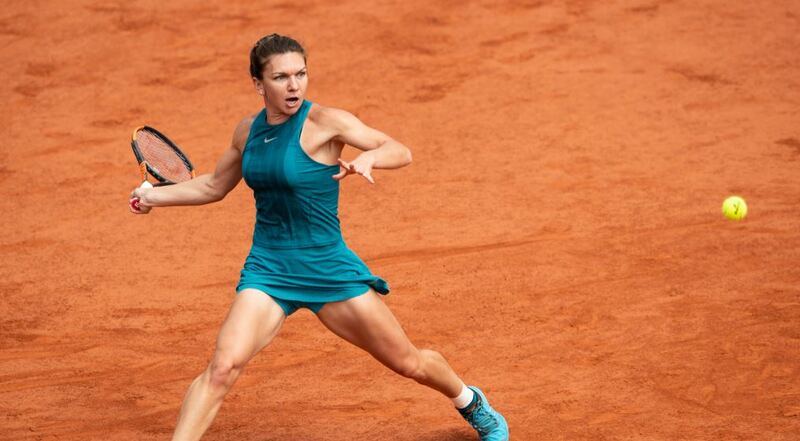 Halep had quality in her movement as well as something in the way she managed to lift her feet off the ground during her finals match against Stephens. Once the match ended, several chants came from the crowd, cheering “Simona”. Her dream finally came true and she was absolutely thrilled with her first ever Major at the French Open. Tennis stadiums vary in surface, style, and size. Some play host to the largest tournaments in the world, while others play host to smaller tournaments, yet still quite prestigious. Most of them feature a phenomenal and rich history that has assisted to shape the sport as we know it today. For those that consider themselves to be the ultimate tennis enthusiast, we highly recommend visiting the below tennis stadiums at least once in your lifetime. The Indian Wells Masters is hosted at the Indian Wells Tennis Garden. The hard surface outdoor court situated at Stadium 1 is considered the largest capacity arena at Indian Wells, seating over 16,000 tennis fans. Both the WTA Tour and ATP World Tour participate at the Indian Wells Masters which makes it the 5th biggest tennis tournament across the globe. Established in 2000, the facility is worth $77 million as is regarded as a favourite among both fans and players. The O2 Arena situated in London, England is the largest building in the world when it comes to floor space. The hard surface indoor court played a significant role on the ATP Tour and hosted the Finals from 2009. This glorious arena can seat 17,500 fans which makes it the 2nd largest when it comes to capacity in the world of tennis. The Uniprix Stadium is home to the Canadian Open, also referred to the as Canada Masters or the Rodgers Cup. This hard surface outdoor court also plays host to both the WTA Tour and ATP World Tour. The stadium can seat an impressive 11,700 fans. Situated in Mason, Ohio, the Lindner Family Tennis Center is home to both the Southern and Western Open. The centre can seat more than 11,000 fans is an outdoor hard surface arena. The Southern and Western Open is a favourite among fans and players on both the WTA Tour and ATP World Tour. The Louis Armstrong Stadium forms part of the USTA Billie Jean Tennis Center, hosting the US Open and can seat over 10,000 spectators. The Louis Armstrong Stadium is an important aspect when it comes to the Grand Slams and features a hard surface outdoor court. It’s named after a famous jazz musician and is set to increase its seating capacity to 15,000 in 2019. The Roland Garros tennis court plays host to the French Open and can seat up to 15,000 spectators. Established in 1928, the tennis complex is 21 acres in size and features 20 different courts. 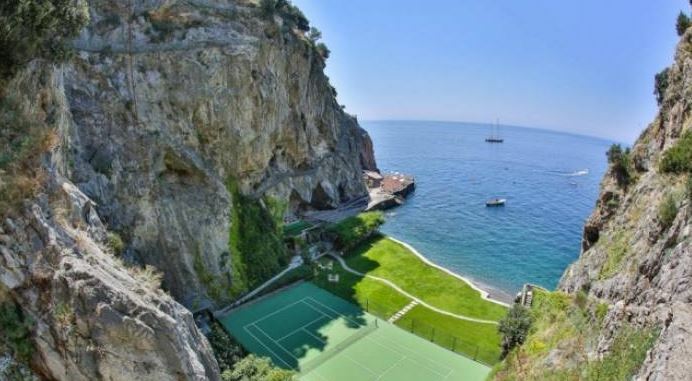 The clay outdoor surface is located in Paris, France and is a favourite for tennis superstar, Rafael Nadal. This outdoor grass court plays host to the WTA Tour and ATP World Tour for the prestigious Wimbledon Championship. The stadium can seat more than 15,000 fans and comes with a retractable roof which was added in 2009.